No matter what your roofing issue, thanks to our years of experience in the roofing trade and expert knowledge, you can be confident we’ll offer the best solution for your problem. We offer a comprehensive range of repair and refurbishment services for both residential and commercial properties. If you need advice regarding the quality or safety of your roof, contact us immediately for a free quotation and consultation. When you decide to use our services we will conduct a structural survey of your roof and provide you with the best solution going forward. The majority of roofing damage can be repaired, however if regular patching work is required or structural damage is evident a new roof may be needed. Whether repairing an existing roof or replacing a damaged roof with a new one, our team of highly-skilled roofing specialists possess the expertise transform you roof into one that is extremely durable and performs exceptionally. All of our work is undertaken by our fully skilled workforce ensuring you with the peace of mind that comes from 30 years experience. 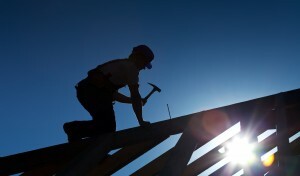 There are many different causes of roofing damage. A lack of adequate maintenance, poor design and installation and the effects of weathering over time can all cause serious damage to a roof. However, perhaps the most violent and extreme cause of roof damage is the result of storms or high winds. High winds are extremely hazardous to the roof of a building. Up-lift forces and varying air pressure bombard the roof assembly and, over time, key structural components weaken making the roof susceptible to damage. To counteract the effects of wind-uplift forces, the roofing and insulation should be adequately fastened to the roof deck, and a securely-fastened perimeter detail should be provided. We offer a comprehensive structural repair service and install all new roofs with appropriate fastenings.